One of the New York transit system’s most famous subway posters, “The Whale,” is a familiar poster to anyone who rode the New York subways in 2004. 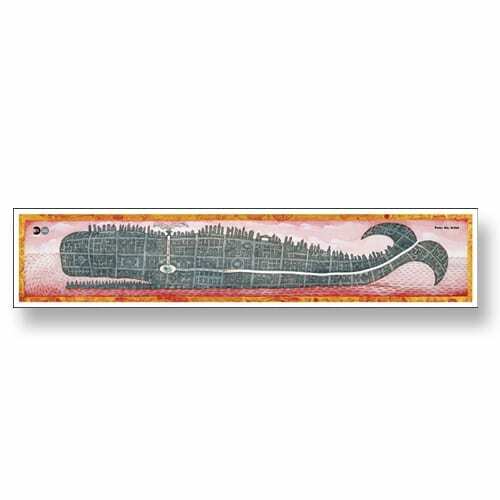 It depicts Manhattan and skyscrapers in the shape of a whale, complete with trains playfully spouting upward. By award winning Czech artist and author Peter Sis. Dimensions: 9.5″ x 44″.